PLEASE NOTE: This resource can be used after the World Cup is over (i.e. none of the activities are particularly dependent on the competition results themselves. It's basically an investigative maths resource with football as an underlying theme. However, as the World Cup ends on Sunday, we have reduced the cost to £5!! Sparky Teaching is proud to present our World Cup Classroom resource. 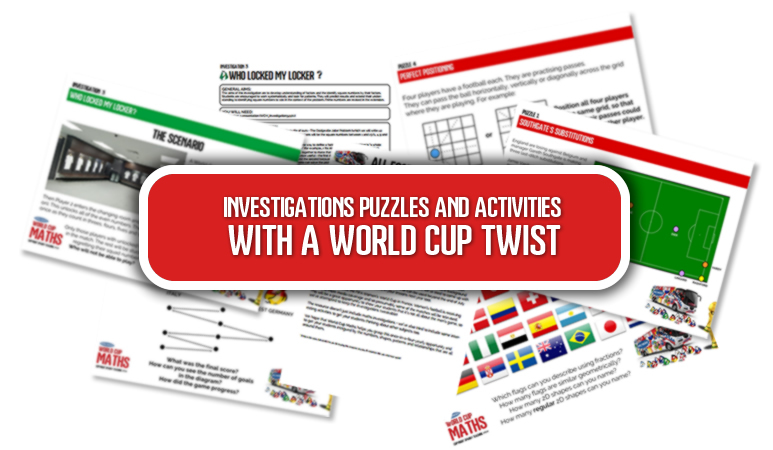 This is a collection of World Cup-themed investigations, puzzles and activities (mostly maths-based, but some more general classroom activities) to help you tap into your students' interest over the next few weeks. Because when we're interested, we learn. We have tried to keep the resource so that it will remain relevant and usable after the World Cup too! Our aim has been to try and find some interesting, less-common ideas. This will be an electronic resource and we will send the download link to you upon processing your order. To purchase the resource, simply use the Paypal button below and we'll do the rest.